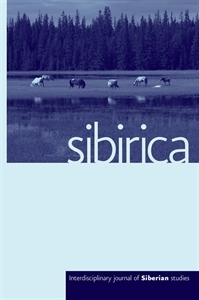 Sibirica is a peer-reviewed interdisciplinary journal covering all aspects of the region and relations to neighboring areas, such as Central Asia, China, Japan, Korea, and North America. The journal publishes articles, research reports, conference and book reviews on history, politics, economics, geography, cultural studies, anthropology, and environmental studies. It provides a forum for scholars representing a wide variety of disciplines from around the world to present findings and discuss topics of relevance to human activities in the region or directly relevant to Siberian studies. The editors aim to foster a scholarly discussion among people with the most varied backgrounds and points of view. Thus, submissions are welcomed from scholars ranging from the humanities to the natural sciences, as well as from politicians and activists. Articles focused on places such as Alaska, Mongolia, Karelia, or anywhere else where direct contacts or even direct comparisons with Siberians is obvious and useful in the advancement of Siberian studies will be considered.